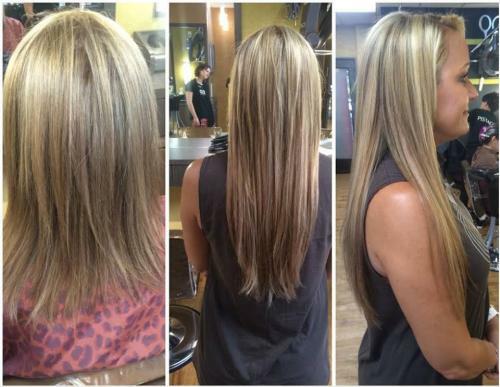 Check out Casie’s before and after pic of an amazing transformation using hair extensions!!! If your hair is lacking some fullness or you just want it a little longer or BOTH, then come on in for a free extension consultation. A member of our professional and well trained team will walk you through all the information you need to educate you properly on extensions and see if its the right fit for you and we will color match you and custom order the perfect hair to make your holiday hair spectacular! Call or Come by today!! !